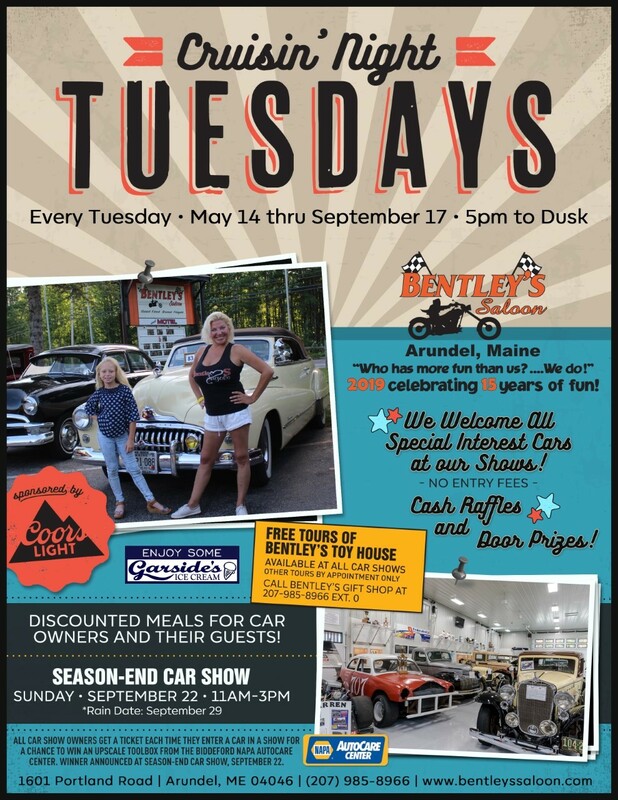 Every Tuesday from 5 pm til dusk (May 14 through Sept 27 for 2019 season), automobile enthusiasts show off their special interest cars at the Saloon's parking lots, often times more than 100 on display! 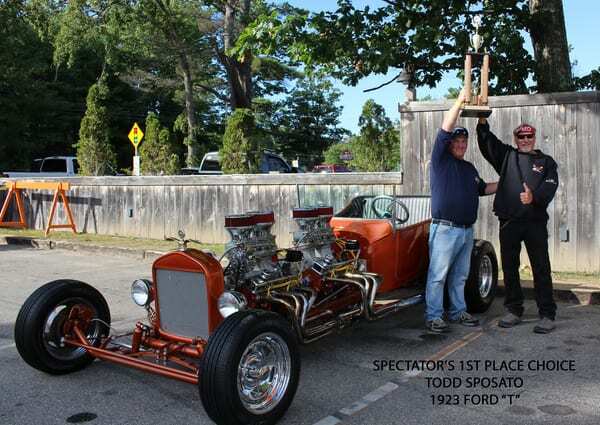 There are no entry fees for car show owners or spectators. 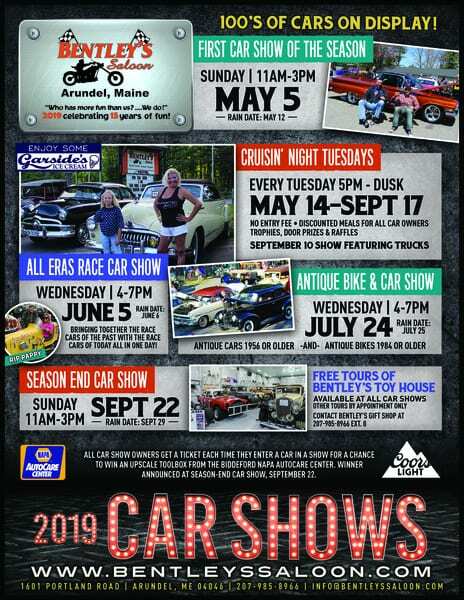 Car show owners receive door prizes, spectator choice awards and a chance to win a FREE upscale toolbox thanks to our local NAPA Auto Parts Center in Biddeford. Owners and their guests also get discounted meals. Everyone can participate with cash raffles. We donate a portion of the money to our Town of Arundel's Holiday Program for local residents in need of a helping hand during the holiday season. 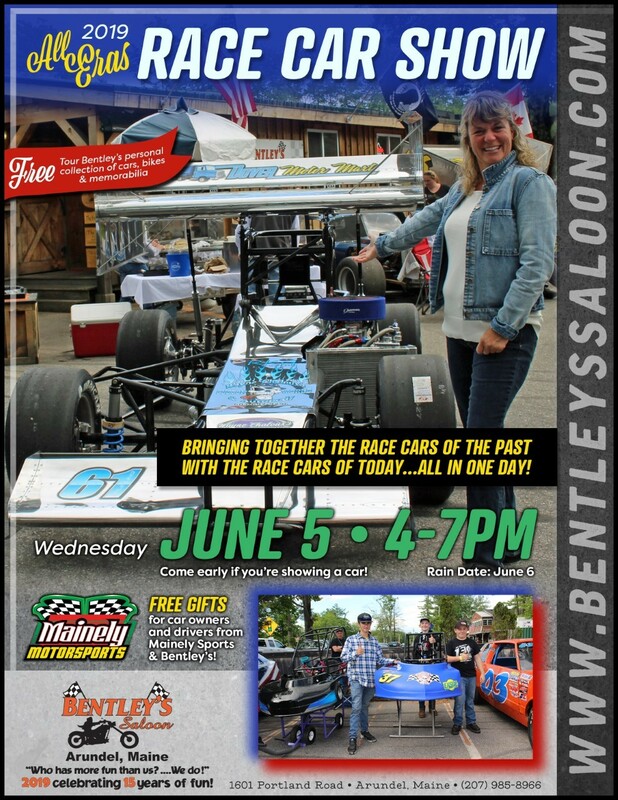 Bentley's race car driver friends join us for an annual All Eras Race Car Show that brings together the drivers and cars of today with the drivers and cars of yesteryear! 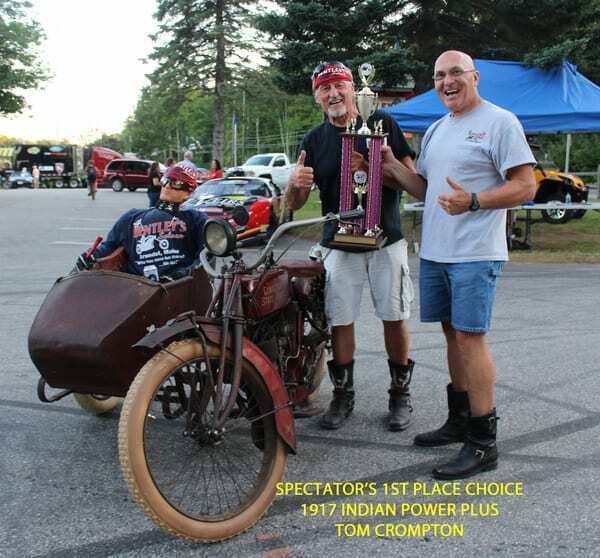 There are Sunday Season Opener and Closer Shows and an Antique Car and Bike Show every July. 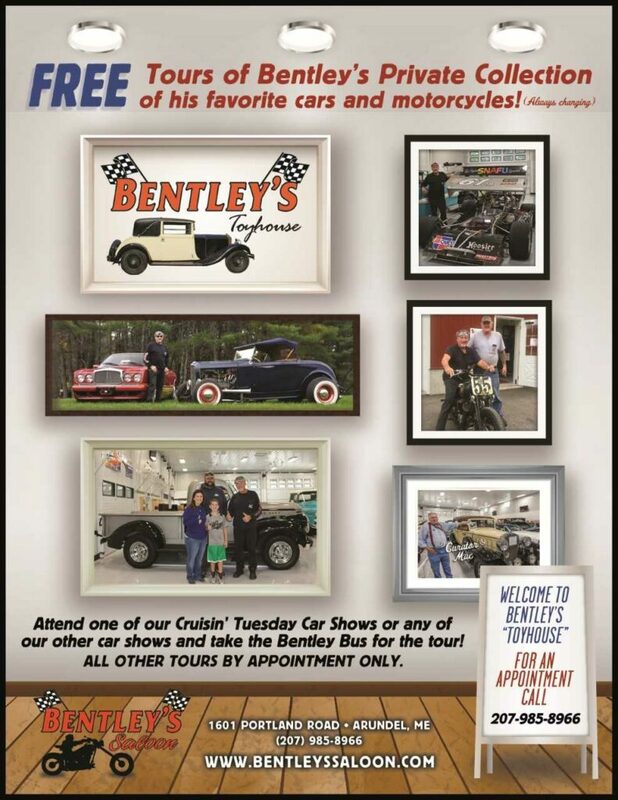 At all of our car shows the Bentley's Bus takes guests for free tours of Bentley's "Toyhouse" to check out his private collection of automobiles, race cars, motorcycles and racing memorabilia. 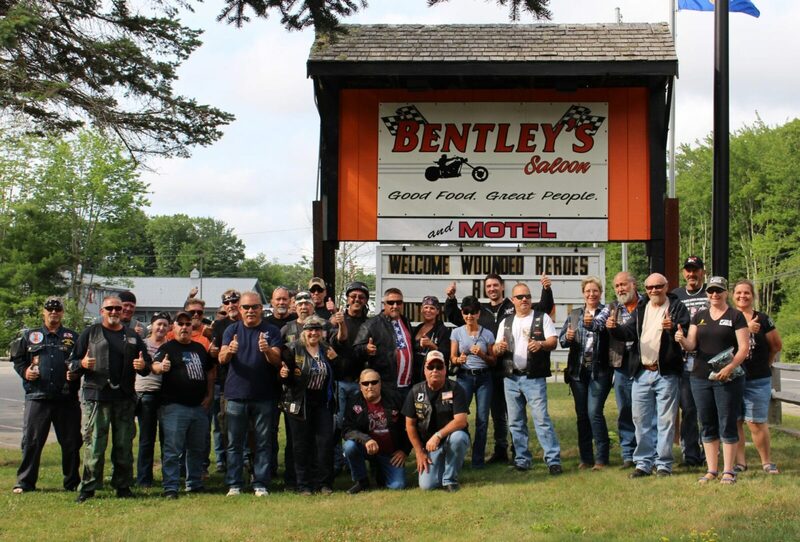 Bentley attends most of the shows, and it's a perfect opportunity to meet him and get that "Wicked Fast" book signed! For Several years, our local NAPA AUTO CARE CENTER IN BIDDEFORD DONATES A TOOLBOX VALUED AT $1000. IN 2018, TOM WAS THE LUCKY WINNER! 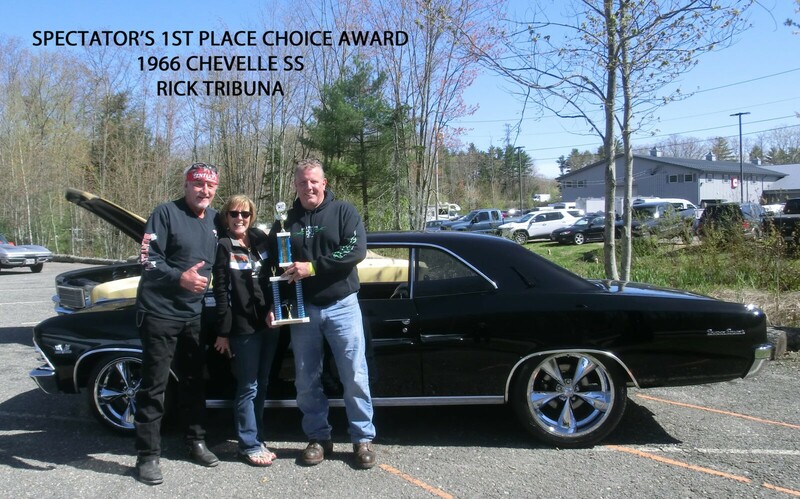 eACH TIME A CAR SHOW OWNER BRINGS A CAR TO A SHOW, THEY GET A RAFFLE TICKET, AND AT THE END OF THE SEASON, WE DRAW THE WINNING NAME! from left to right - Bentley; Tom, Winner of Toolbox; Lisa and Jeff, Manager of NAPA Auto Care Center for Biddeford store. 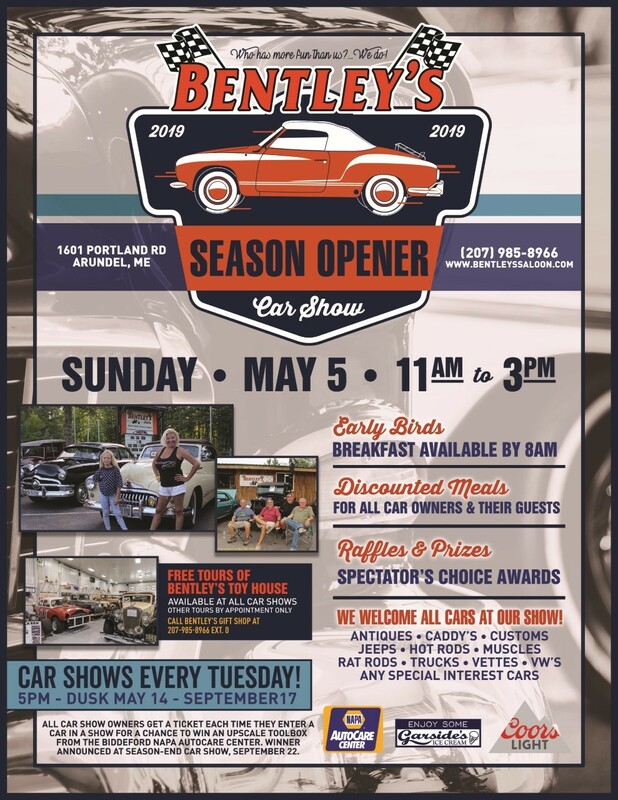 TO VIEW VIDEO FROM OUR SEASON OPENER CAR SHOW ON MAY 13TH, THANKS TO BILLY ROBERGE, YOU CAN VIEW IT - CLICK HERE. 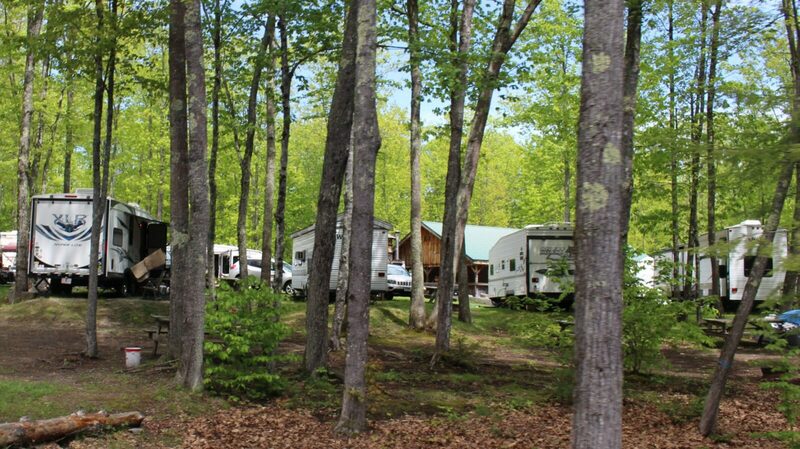 VISIT OUR PHOTO GALLERY TAB.